Ricky Wysocki is not generally a scoreboard watcher. If he’s playing attention to anyone else’s game, he said, he’s not focused on his own. That all changes down the stretch of any tournament, when a responsible leader needs to know where his competition sits. So as sheets of rain pelted players at the Vibram Open Sunday, Wysocki finally took some time, around hole 13 or 14, to assess the standings. And when he did, he saw that Eagle McMahon was making a final round charge, virtually tying Wysocki on the course after closing a six-stroke gap. Coincidentally or not, Wysocki then stepped up to the teepad of 14 and unloaded his worst miscue of the tournament at the worst possible time. He pulled a Latitude 64 Stiletto from his cart, aiming to dump out hard to the left and clear the pond safely. But he slipped, and his shot sailed high, hitting off the branches that sheltered the tee area before plummeting into the drink. He did, smartly laying up from the drop zone to card a bogey 4. It was a far cry from the death putt for birdie that McMahon had canned just minutes before, but ultimately that two-stroke swing would not be enough to keep Wysocki from his second career Vibram Open title. Wysocki pulled a couple of late birdies out of his hat, while McMahon let the moment get too big, and the reigning PDGA World Champion grinded out a two-shot victory and $2,500 payday with his 23-under par 217. McMahon’s final round 7-under par 53 tied him for second place with Paul McBeth, who also climbed during the finals with a 6-under par 54 to net a 21-under par 219 for the weekend. Gregg Barsby scuffled on the lead card, logging a 1-over par fourth round to fall to fourth place with a 19-under par 221, while James Conrad and Nate Sexton dropped to fifth place with their 18-under totals. 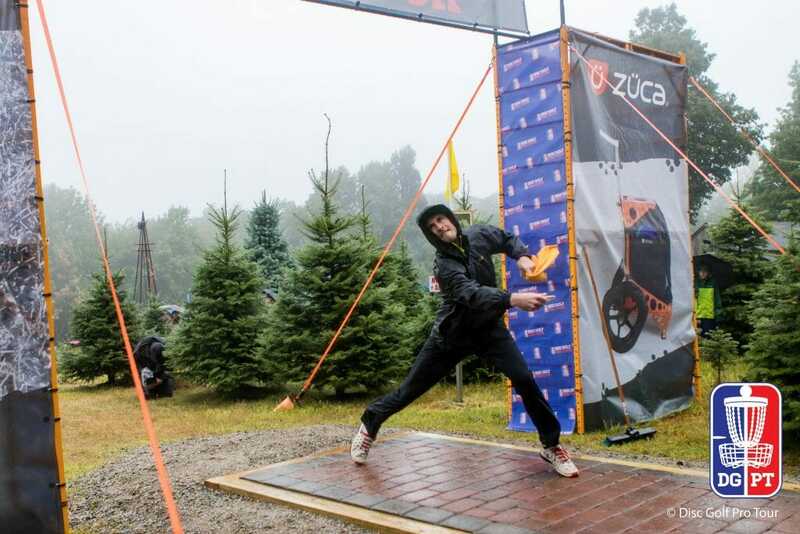 The performance added another page to the growing legend of “Raincoat Ricky,” as Wysocki managed the conditions to become the first multi-time Vibram winner from the Open division. [Cale Leiviska won the event in 2012, but his other win at the venue was at the 2007 Marshall Street Disc Golf Championship, which was unsanctioned. -Ed.] It wasn’t always pretty — plenty of hurried shots kicked off of trees as Wysocki kept a frenetic pace — but when the time came to separate from the pack, he relied on the extra holes he had in his back pocket instead of panicking at his shrinking lead. As Wysocki toiled away on the lead card, McMahon was putting together his best round of the tournament on the chase. The Colorado native carded birdies on holes 2 through 5, connecting on putts from 30 and 40 feet despite the seemingly unmanageable conditions. McMahon continued to play well on the back nine, taking the easy birdie on hole 10 before rattling off four more on holes 12 through 15. After staring down the water on 14, and then parking his drive on 15, it appeared that he had a chance to at least push Wysocki to a playoff. As soon as McMahon let that thought get into his head, though, he was doomed. He missed a long par save on hole 16 off the top of the basket, but recovered with a birdie on 17 to stay in contention. After unleashing a roller on hole 18, he was faced with a long look at an eagle run — or, at the very least, a birdie if he could safely pitch up to the island green. But McMahon instead put too much anhyzer on his putter approach, and it dove into the rocks and bounced out-of-bounds. He clapped his hands in frustration, and was still replaying the mistake in his head after the round. Still, Wysocki took that possibility out of the equation with his own execution down the stretch. 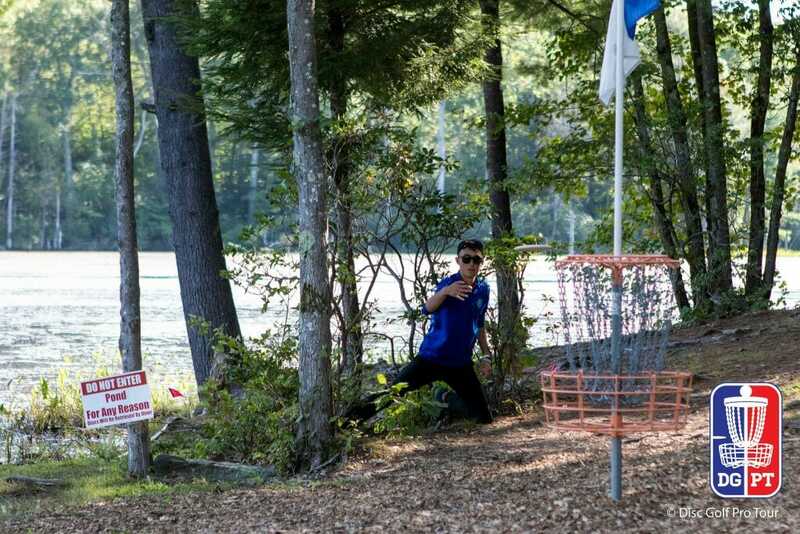 Instead of buckling after his disc took a swim on hole 14 — he got it back thanks to the efforts of Mark Verrochi, Vibram’s heroic pond diver — he stepped up to hole 15 and delivered an authoritative strike with a Latitude 64 Pure that bent down the left side of the fairway and landed at the edge of the circle. He connected for the birdie, effectively sealing the victory with three to play. Wysocki had played the hole with a forehand during rounds one and two and only carded pars. He switched to a backhand on Saturday and Sunday, though, and converted for the deuce on both attempts. That versatility has been one of the hallmarks of his ascent to the top of the sport. That killer instinct is something that has eluded McMahon. And even though he has a strong support system — he had a long talk with his dad after the event, he said, as he processed what happened down the stretch — he was looking within as he sought to overcome his nerves. Though he didn’t come as close to matching Wysocki as McMahon did, McBeth mounted a comeback with his own strong putting and a bogey-free front nine. He couldn’t convert on a birdie attempt on 14, though, as his putt skipped off the top of the basket and into the water to effectively end his run at the title. Other contenders on the lead card, meanwhile, struggled to keep up with Wysocki. Barsby carded an early penalty stroke after his backhand drive on hole 2 turned out of bounds — he had thrown a forehand there in previous rounds, which took the OB out of play — and couldn’t gather the birdies he had on the gauntlet of holes 6 and 7 like he had earlier in the tournament. Conrad kept himself in contention with huge birdie putts on 7 and 8, but struggled with accuracy late. Sexton, meanwhile, found difficulty off the fairway for much of the round, often drifting left on his drives and hitting trees again on the approach. Though the conditions were not ideal, a handful of competitors still took advantage to finish the event on a high note. Simon Lizotte carded the day’s hot round, a 1075-rated 9-under par 52 that helped him climb 14 spots on the leaderboard and into a tie for seventh place with Cale Leiviska at 15-under overall. Josh Anthon and Drew Gibson jumped up six and nine places, respectively, and into a tie for 11th place, while Steve Brinster and A.J. Risley both climbed four slots to finish in the top 20. With one event left before the Disc Golf Pro Tour Championship, the Vibram Open created a bit of upheaval in the circuit’s season-long points standings. Barsby and Paul Ulibarri flipped spots, but still remain in the top 8 and in line for a bye to the Championship’s semifinal round. McMahon moved up seven slots and into 12th place, while Sexton, who was only playing his third DGPT event of 2017, climbed nine places and into 17th. For Wysocki, the Vibram wasn’t a must-win, but it was certainly welcome. 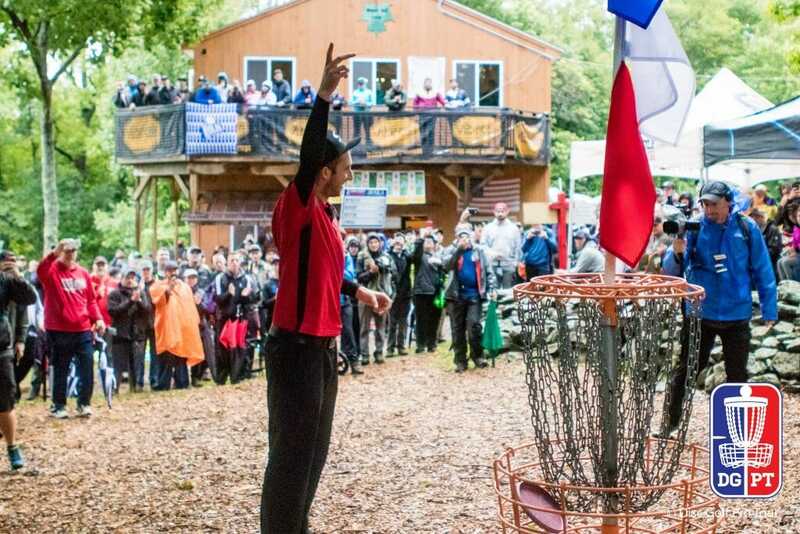 He had hit a mental wall, by his own admission, since winning his second consecutive PDGA World Championship in June, logging only one victory since and finishing seventh at the European Open; fourth at the Ledgestone Insurance Open; and fifth at the Pittsburgh Flying Disc Open. After the slog through soggy conditions, a bit of light peeked out from the clouds at just the right moment, smiling down on Wysocki and Open Women’s Champion Paige Pierce just in time for the traditional Vibram Open victory celebration: a leap into the Maple Hill pond. And the sunshine brought a friend along with it. 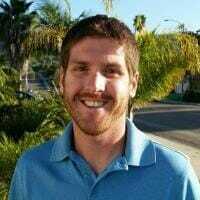 Comments on "Wysocki Grinds Out Second Career Vibram Open Victory"